Architectural Wire Mesh can be applied in either a vertical or horizontal direction, again dependent on the balustrade or railing design. Mesh opening sizes range from 25mm x 25mm to 250mm x 250mm with stainless cable diameters from 1.2mm to 3.2mm. 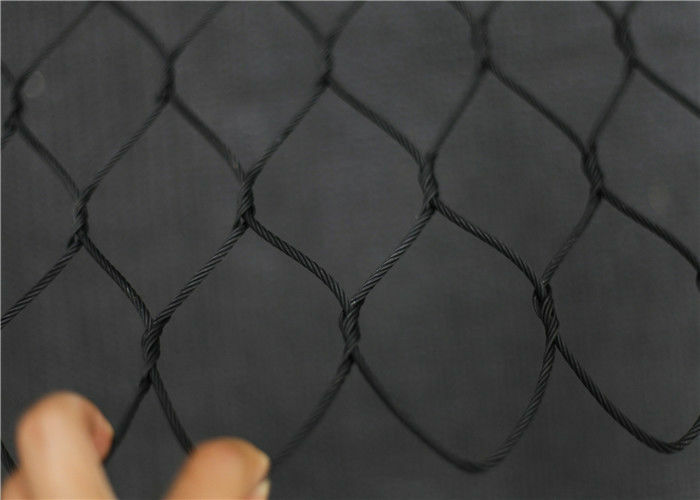 The architectural wire mesh has strong tensile strength and high flexibility, high transparence and wide span. The flexible s.s. architectural wire mesh has unreplacable advantages compared with other mesh products in many aspects like practicability, security, aesthetic property and durability etc.